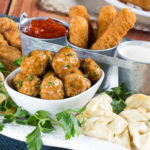 Fried Dough, Fry Bread, Fried Doughboys, Frying Saucers, Beaver Tails, Elephant Ears…these are just some of the many names given to one of our favorite state fair foods. Depending on where you’re from and what story you were told, you may call it something different. For me, they’ve always been Elephant Ears, ‘cause these pieces of fried, sugary dough are so big they’re just about the size of an elephant’s ear (or so I was told!). 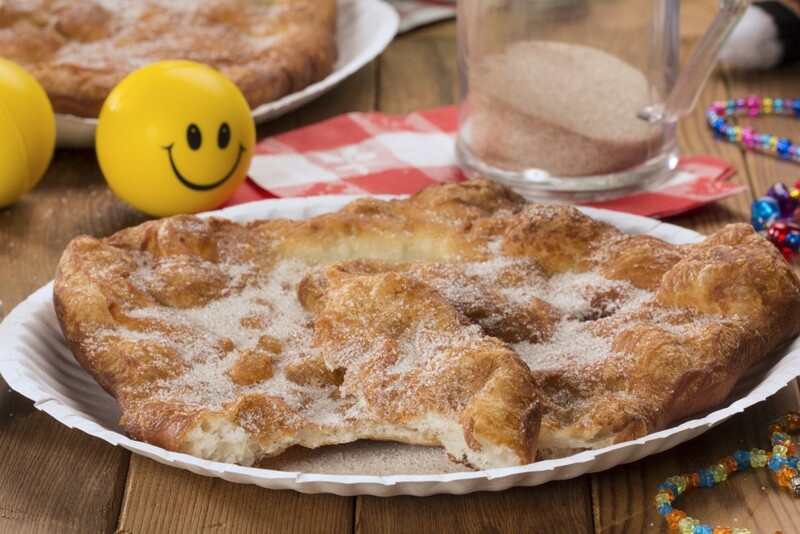 When I found out that Howard was going to share a recipe on how to make elephant ears with all of you, I jumped onto the set to capture some helpful step-by-step photos for anyone who loves this state fair treat! Step 1: Gather all of your ingredients. This recipe uses a great shortcut: frozen bread dough, which means no kneading involved! 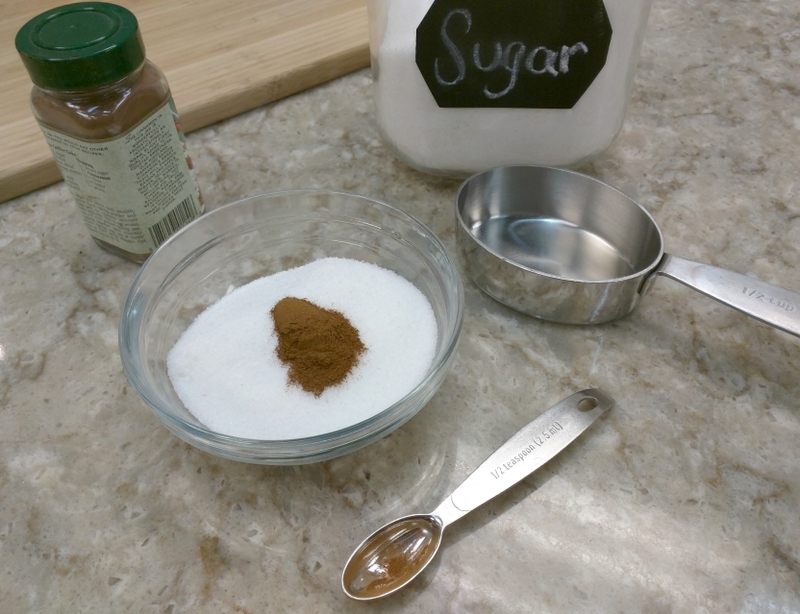 Step 2: Mix your cinnamon and sugar in a small bowl; set aside. 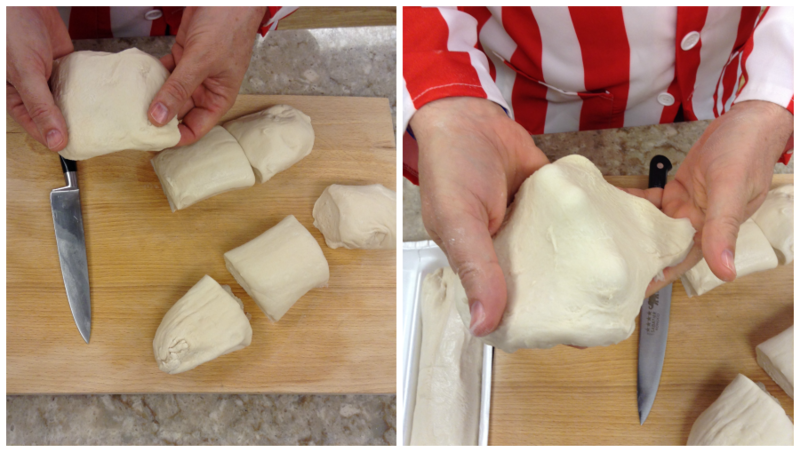 Step 3: While your oil is heating up, cut each of your bread dough loaves into thirds. Step 5: Place the dough into the oil and fry for a couple of minutes, or until your Elephant Ears are a beautiful golden brown. You’ll want to flip it over and do this to the other side too! When they’re done, just remove the puffed up dough from the oil and place it onto a paper towel-lined plate to drain. Step 6: While your Elephant Ears are still hot, sprinkle them with the sugar-cinnamon mixture (or any other toppings you like!). Finish frying the rest of your dough, and enjoy while warm! 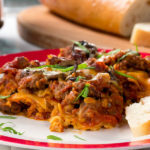 Click here to get the full recipe with exact ingredient amounts and instructions! 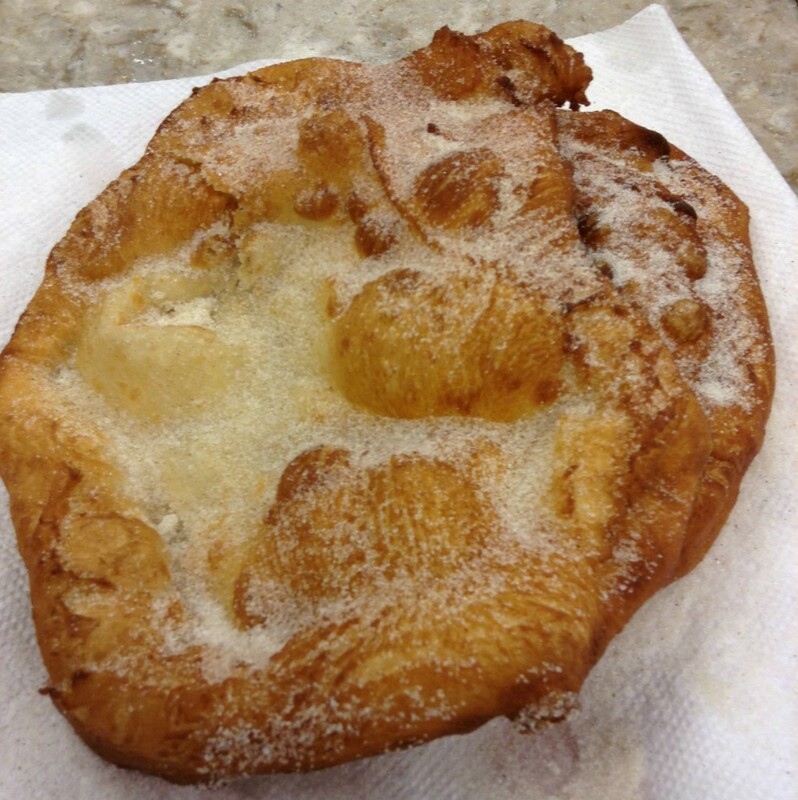 Now that you know how to make Elephant Ears, the real fun is finding tasty ways to top it! Aside from the classic, cinnamon-sugar, I also like topping mine with chocolate sauce, fresh fruit, powdered sugar, crunchy nuts, and whipped cream. Plus, don’t forget to check out even more fair food favorites here! What fried fair food is your favorite? Elephant Ears–the only must have!! !